Until Hawaiian Airlines kicked off service to New Zealand today, I hadn’t ever thought much about the similarities between Hawaii and Iceland. But suddenly, parallels were everywhere. Both islands are roughly 2,500 miles from the U.S. mainland. Both are volcanic, and bursting with spectacular wildlife and natural beauty. But most importantly, both offer a vacation-within-a-vacation stopping-off point on intercontinental flights. Icelandair has long offered a popular Iceland stopover option on flights between the U.S. and European destinations. It’s a great way to enjoy a relaxing soak in the Blue Lagoon, go pony trekking through the wilderness, or stay up all night in Reykjavik before heading to your actual destination. And now Hawaiian has become the only U.S. carrier to fly to Auckland, New Zealand. Flights connect through Honolulu, offering passengers starting from mainland U.S. departure cities a perfect excuse to tack a few days in Hawaii onto a New Zealand vacation. Adding a stopover is free, making it hands-down the best idea I’ve heard all week. 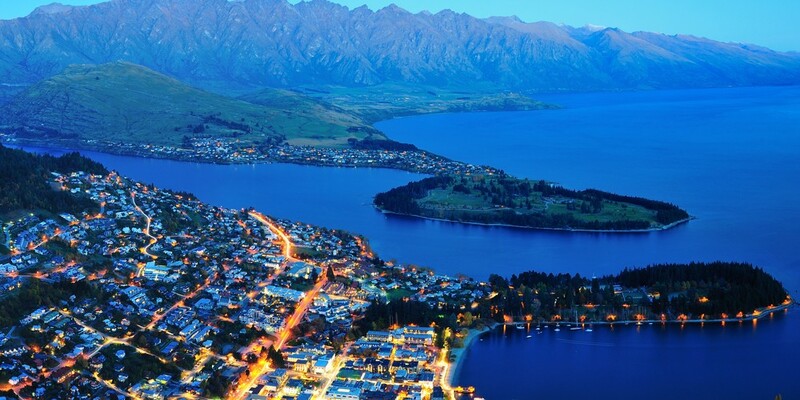 The carrier is offering connecting service to New Zealand from 10 cities, including San Francisco, Seattle, Phoenix, and Los Angeles. Hawaiian, incidentally, recently emerged as the most generous of the U.S. carriers still offering free food on flights. Complimentary Mai Tais and complimentary meals? Alo-ha.